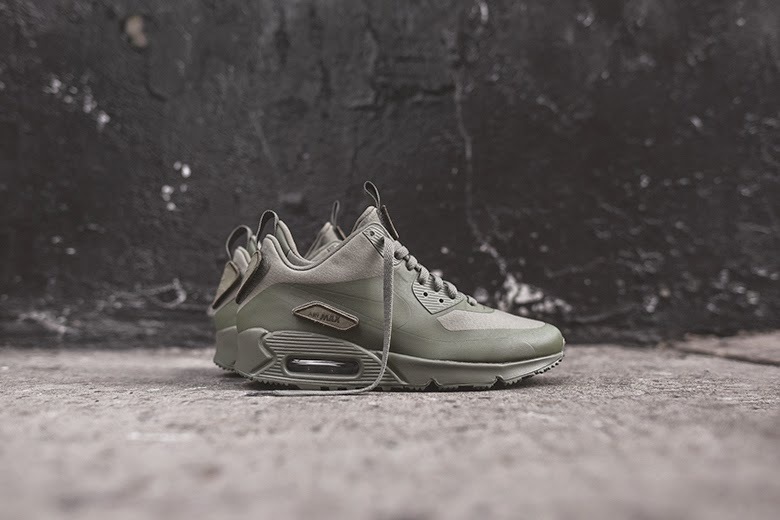 #MustHave Nike Air Max 90 Sneakerboot SP Patch "Steel Green"
Nike has brought back an older iteration of the Air Max 90 Sneakerboot silhouette, which originally debuted in 2013. The new pack sees the silhouette released in patch-form, with a trio of colorways in the set. The “Steel Green” iteration sees a monochromatic tonal wash allover, with a synthetic upper made to withstand elements. Along with a mesh vamp and Hyperfuse overlays, there are various Velcro spots on the shoe for different patches to be stuck on. Each shoe comes with a set of 22 patches, paying homage to the heritage and evolution of the Air Max. The entire Nike Air Mac 90 Sneakerboot SP Patch pack is available at KITH Manhattan through email order, for more information check out its website.